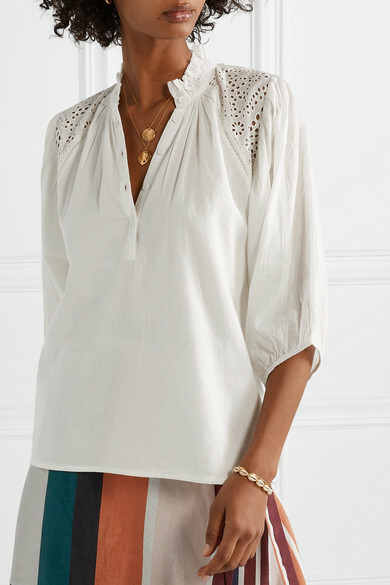 Versatility is so key to APIECE APART's collections - styles like this 'Vera' blouse can be worn for anything from sunny vacations to shopping trips in the city. 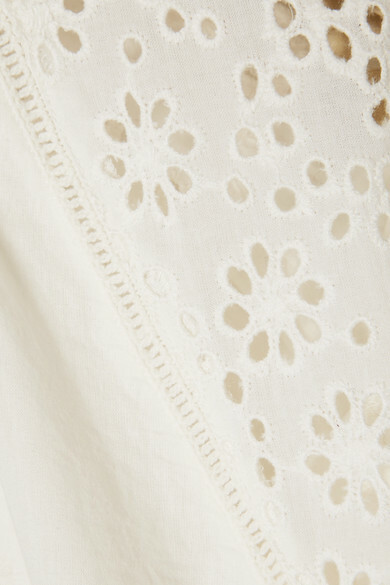 It's cut from airy cotton-voile that's accented with pretty broderie anglaise along the shoulders and constructed with a ruffled neckline. 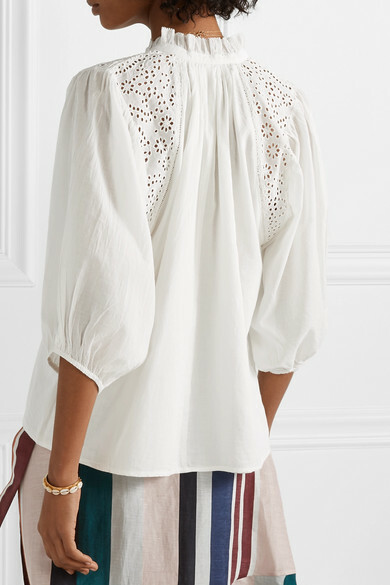 The loose fit and billowy sleeves only add to its light, breezy feel. 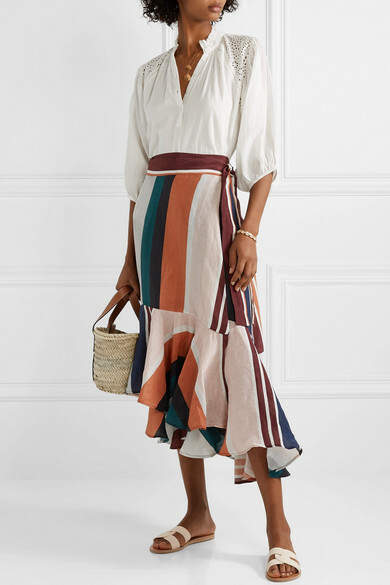 Shown here with: APIECE APART Skirt, Loewe Tote, Ancient Greek Sandals Slides, Alighieri Necklace, Isabel Marant Bracelet, Chan Luu Cuff, Sophie Buhai Earrings, Alighieri Necklace.